WWII vests and sweaters all knitted from the original WWII war patterns. Made from pure wool available in a variety of colors. Vests are $75. Sweaters are $120 to $160. Please contact me with any questions or to custom orders yours. 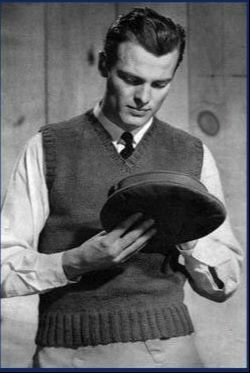 This is the original 1942 pattern photo for a basic V neck vest. 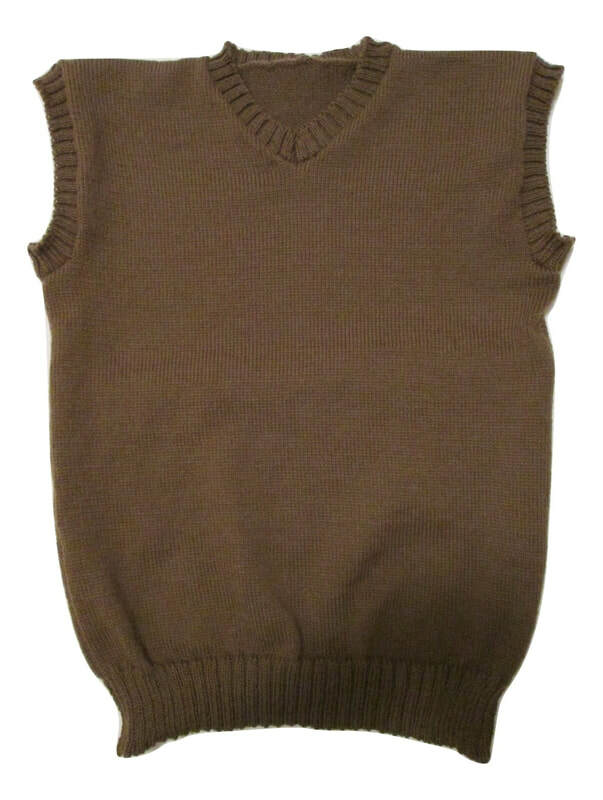 I knitted the vest in an olive drab, shown here. This color sometimes photographs more brown or more green, depending on lighting conditions. This is the basic WWII vest. 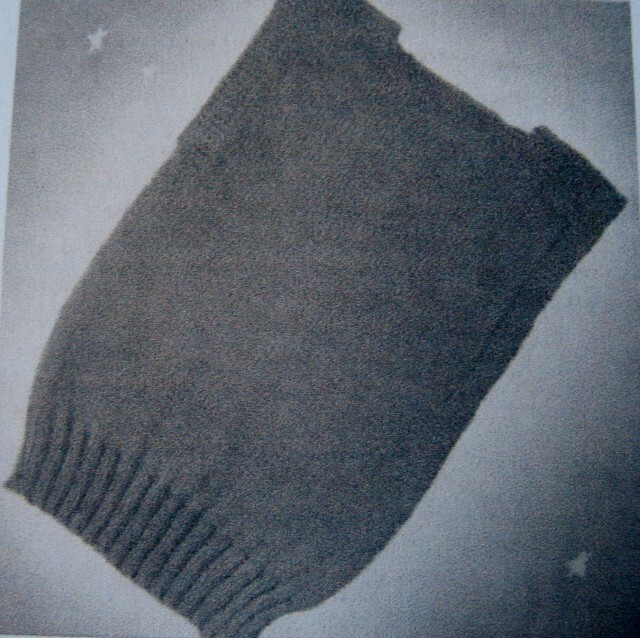 It is from a 1940 service knits booklet. 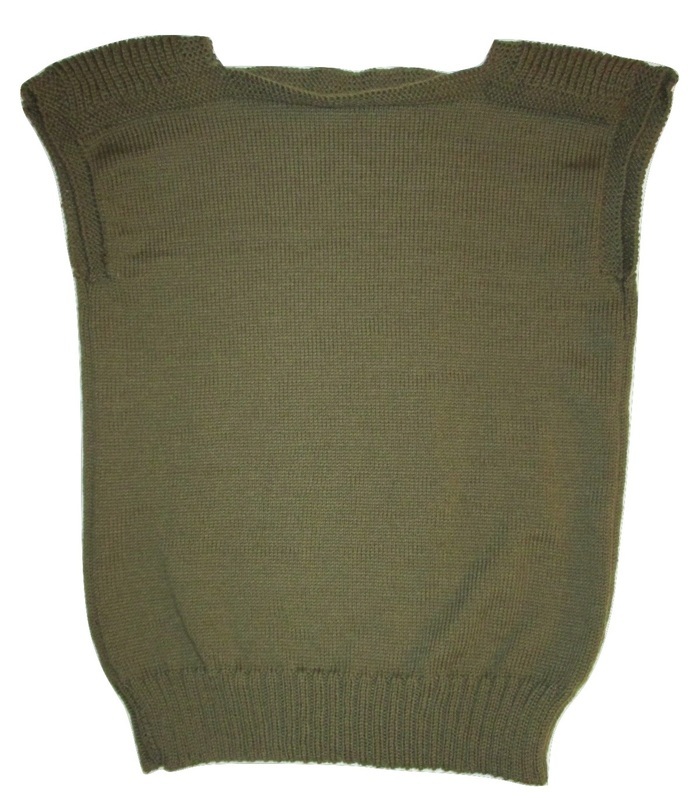 The WWII Basic Vest that I knitted. 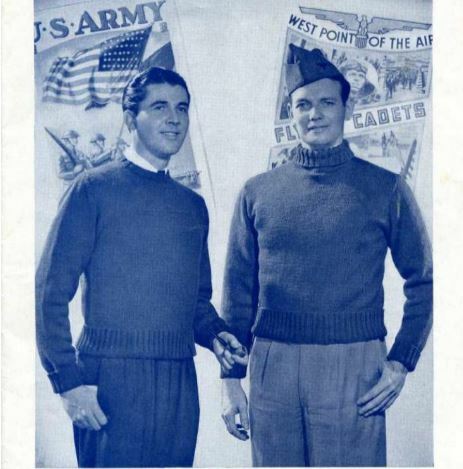 These two sweaters are from a 1941 Knit for Defense book. A Round Neck and Turtleneck. Their number in the booklet is S-101. The S-101 Round Neck Sweater that I knitted. 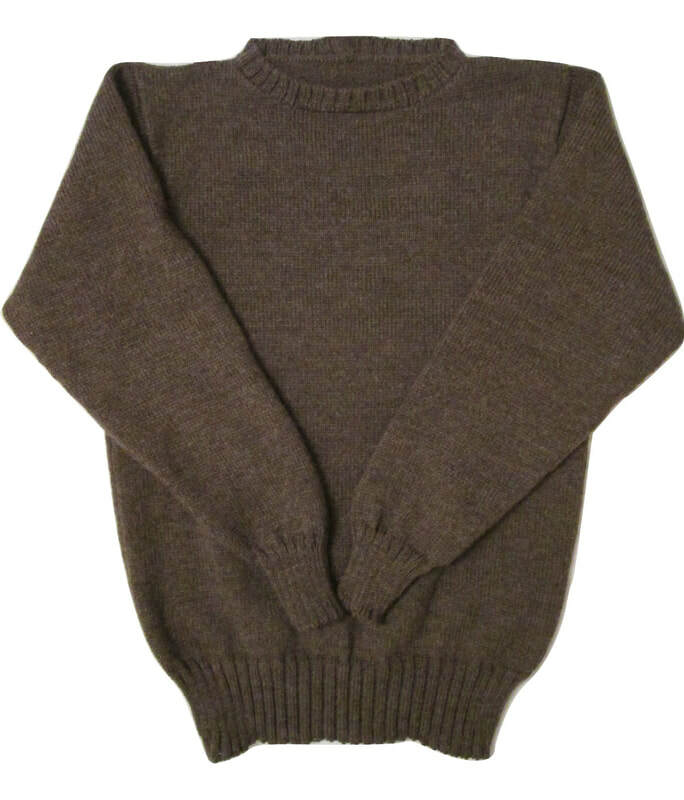 Here is a V-neck sweater. It is from the same pattern book as the vest. 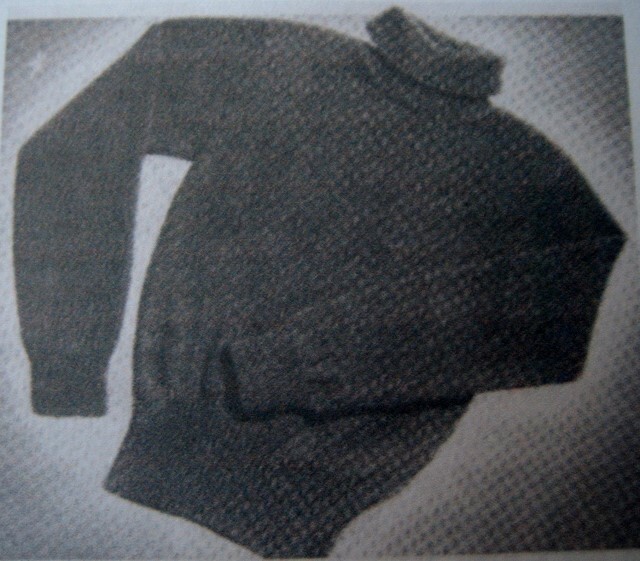 WWII turtleneck sweater. Also from the same book as the vest and V-neck sweater. 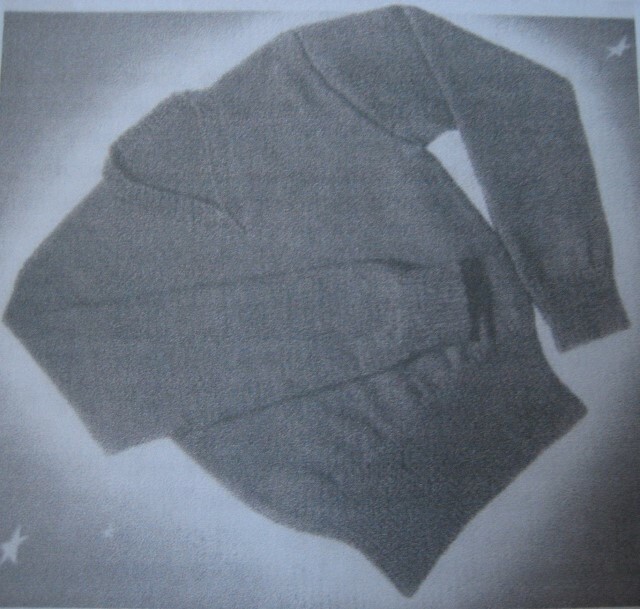 1941 V Neck Sweater from a service knits book. 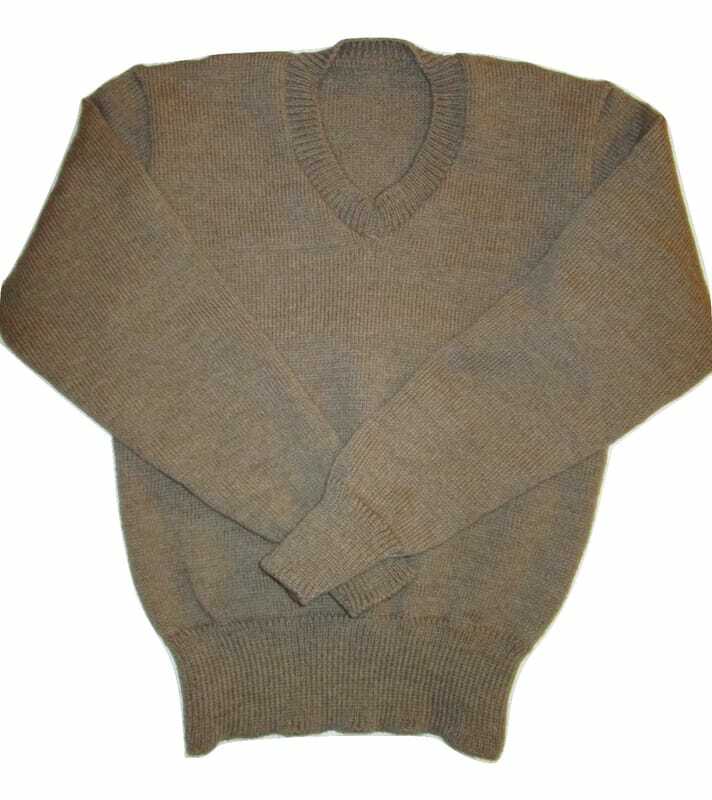 The 1941 V Neck Sweater I knitted in a khaki color. The pattern says this sweater is for all branches of the service. 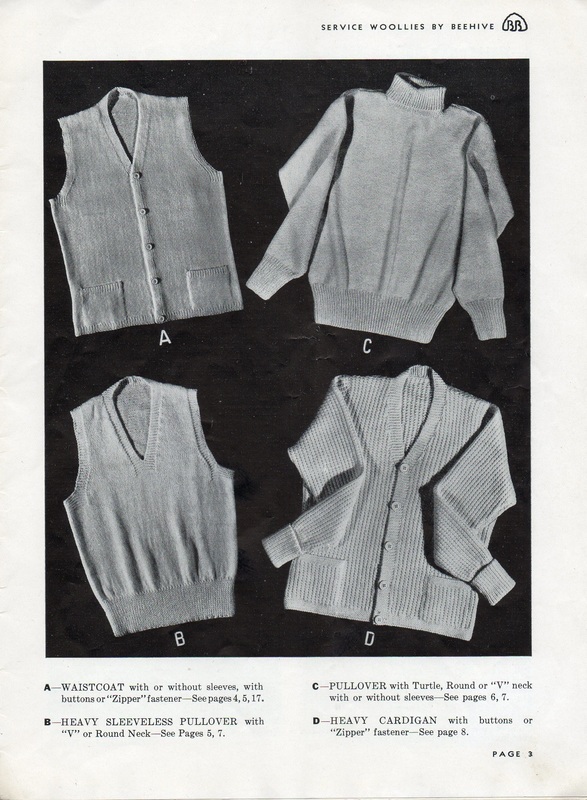 Here are a variety of vests and sweaters from the WWII book, "Service Woollies for Air, Land and Sea" by Beehive.